In family-centric Croatia, the government offers a variety of financial assistance and child benefit programs to parents after the birth of a child. These programs provide good support and incentives, easing the financial impact of expanding your family. High taxes at work, for people who procreate! In the tax system of Croatia, there is a portion of every person’s salary that cannot be taxed. The purpose of this is to guarantee that each person will be able to keep some funds for themselves without tax. This basic personal allowance is 2.500 kuna per month. To calculate how much from your salary will not be taxed, multiply the basic personal allowance by 1.5. The number you get (2.500 x 1.5 = 3.750 kuna) gets rounded up, so the final amount of the basic personal deduction is 3.800 kuna. If you have children, there are further tax breaks. For the first child, multiply the basic allowance by 0,7 to calculate the additional amount from your salary that will not be taxed. For the second child, multiply the allowance by 1,0 and 1,4 for the third child. So what do all of these numbers mean exactly? Below is a simplified example, but SPOILER ALERT, there will be math. As you can see, there is a considerable difference in taxable income when you have children. This tax relief may be used jointly by working parents. 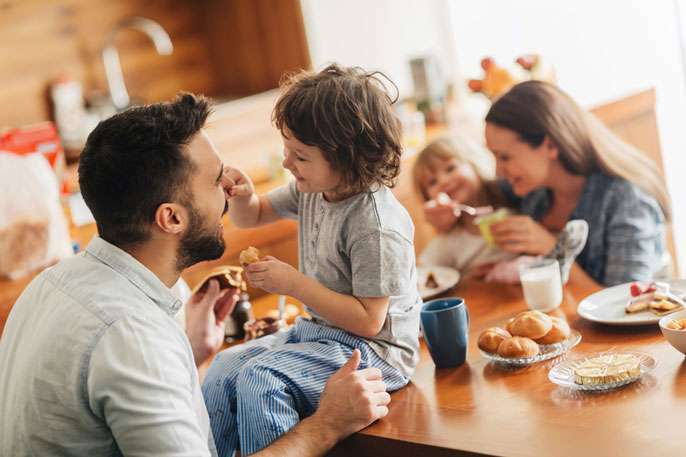 In some cases, parents with 3 or more children can avoid paying tax on their income tax altogether, because their personal allowance is higher than their gross income. More information on these regulations and other personal allowances can be found on the Croatian tax agency website. In addition to tax incentives, families are entitled to a stipend for each child given that meet certain requirements. This stipend is drawn from the HZMO pension fund. Live in the same household with the children and raise them. Have a total household income in the previous year that does not exceed the revenue threshold. The revenue threshold is determined by all household income earned in the previous calendar year. As of March 2018, the maximum income per household member allowed to receive benefits is 2.328,20 per month. The allowance is paid monthly until the child reaches the age of 18, if the child continues with secondary education. If the child quits school after the elementary school (usually when the child is 15), the allowance will be terminated. The amount does not change as the child ages. The allowance will be terminated if the child leaves Croatia for a period longer than 3 months (for example to go study abroad) unless it is stipulated differently by international agreements. There are special circumstances where the child allowance is increased. 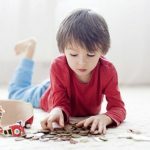 For a child without both parents or a child whose parents are both unknown, of unknown residence, totally incapable of independent life and work, or if their business ability is taken away, the corresponding amount of allowance is increased by 25%. 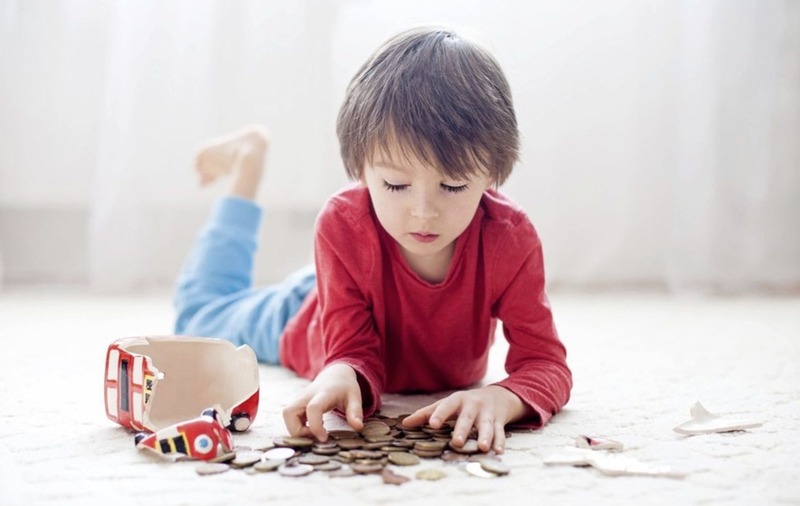 For a child with a single parent or for a child with one unknown parent with unknown residence, totally incapable of independent life and work, or if the parent’s business ability is taken away, the corresponding amount of allowance is increased by 15%. For a child with a health impairment, the parent is entitled to a 25% extra allowance added on the child’s existing obligatory allowance. Information on the application for a child allowance is available every working day from 8:00 to 16:00 at HZMO. Usually these benefits are applied for when the child is born. For more on how to apply for benefits for a newborn child and pretty much everything else concerning newborn children like registration and health insurance, head over here. Parental support benefits can be both monetary and temporal. These additional benefits are available to the mother and to the father of a child, but can also be used by adoptive parents, guardians, foster parents or other persons entrusted with the care of the newborn child. Foreigners can use these benefits if the insured parent has permanent residence in the Republic of Croatia or if they have an asylum status, or the status of a foreigner under subsidiary protection. With regards to “leave”, there is maternity leave, paternity leave and parental leave. Every expectant new mother that is employed or self-employed must use a compulsory maternity leave in an uninterrupted period of 98 days. Twenty eight days should be used before the due date and the remaining 70 days after the birth of the child. After this compulsory maternity leave, the mother has the right to an additional maternity leave up to 6 months of life of the child. If she wants she may, by a written statement, transfer her leave to the father of the child with his prior consent. During the maternity leave, the mother is entitled to a 100% wage compensation fee based on compulsory health insurance (without limit). To receive this benefit, the mother must have worked 12 continuous months before start of the maternity leave or 18 months with interruptions in the two previous years. If that condition is not met, the beneficiary is still entitled to maternity leave, but the salaries for the same amount are 70% of the budget base (e.g. HRK 2.328,20 kuna). An employed or self-employed parent is also entitled to a parental leave in total duration of 8 months for their first child and 30 months for their second child, for twins, the third child and every child after that. This benefit can be used by both parents. If they do, it should be used evenly. It is also possible for it to be used in totality by one parent, usually by the mother. Employed parents can use this leave at any given point before the child turns 8, simultaneously by both parents or by alternating. If they decide to use their leave in installments, it cannot be used more than twice a year and each leave has to be a minimum of 30 days in duration. Parental leave can also be used to work part-time (half of usual work time) in the dual duration of unused parental leave. In the remainder of the parental leave (after the first 6 or 8 months of parental leave), salaries are 70% of the budget base (2.328,20 kuna). The salary compensation is determined based on salary (as with the maternity leave), but the amount paid is limited to a certain percentage of the budget base. The beneficiary of this benefit can also be an unemployed parent or parent outside the working system, as long as they are in compliance with legal requirements. In special situations, when the child needs additional care due to illness or if a child is suffering from an incurable disease, specific types of leave are available to parents or guardians. Family doctors are usually the first person to advise on these special cases. Final decision about granting a parent or a guardian this benefit will be based on the expert medical expertise of the HZZO medical commission, the medical documentation of the child, and the findings of the selected primary health care doctor of the child. During this type of leave, parent or a guardian has right to a monetary benefit of 70% of the budget base per month for full time (2.328,20 kuna). Pause of employment until the child reaches 3 years of age. All of these types of leaves have their special conditions and corresponding monetary benefits, or lack of them. If a mother returns to her job before the child’s first year of life, or before the expiration of maternity leave, she is entitled to a break during the work day so she can breastfeed her child. The allowed pause is two hours during the work day. The break could be used once for two hours or twice lasting one hour for each break. This benefit is definitely an interesting one. After maternity leave has expired, one of the parents has the right not to work until the child reaches three years of age. Their employer is not allowed to deny him or her that right. If an employer denies their request, it is considered to be an offense for which there are fines. During this leave, the parent does not receive any financial compensation unlike the three-year leave for twins, the third and every next child. The employer is not obligated to pay contributions for the employee that opted to use this benefit. It is up to the parent to resolve their health insurance through their spouse or by paying out of pocket. They also must pay contributions for their pension themselves. All mothers with health insurance are entitled to receive a one-time allowance to cover the costs associated with a newborn baby. As of this post, the one-time allowance is 2.328,20 kuna. This benefit is not tied to income. Applying for this benefit is part of the process of registering your newborn child. Some cities in Croatia offer child allowances for the families with a newborn in addition to the state benefits. Certain local communities pay these fees several times and some only in a one-time sum. Parents should contact the administration of the municipality or city where they live and are registered to find out if there are additional benefits offered. This allowance is paid one time for the first and second child. For each additional child, the allowance is paid annually for 10 years. For every new mother or a father, counseling can be of great help. Pregnancy courses in Croatia are sporadic. Your best option is to ask your doctor about whether a pregnancy course is an option where you live or in the hospital where you are planning to give birth. For more resources, contact information, institutions and associations that will be of help to you as a parent in Croatia, click here. Have you had a child in Croatia? What has your experience been like? How does it compare to your home country?